Looking for stylish yet convenient roof garden access? Here at Vision AGI we have a rooflight solution that will have you coming up roses – or at least the open air! Vision AGI have undertaken a number of roof garden access projects involving innovative rooflight solutions. Working with architects, builders and home owners, often within listed building constraints, to create the perfect portal to a roof garden and re-defining rooflight design and use in the process! Our work on this private residence in Mayfair is the kind of dramatic roof garden solution that most of us can only dream about. Our brief for this project required us to preserve the architectural integrity of the building when coming up with the design for the atrium that provides the roof garden access and also floods the lower floor with light. However, the rear elevation of this Islington home required access to the upper deck area – the glass box solution with it’s folding sliding door functions to bring more light into the home while the elevated deck provides extra entertaining and outdoor space. 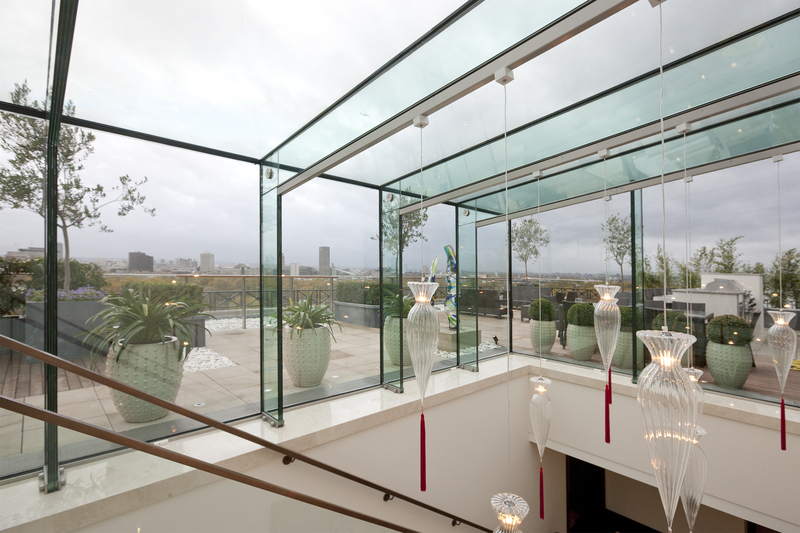 Sliding box rooflights can provide an affordable yet striking access solution for roof gardens of all sizes. This example was installed by builders Taylor Wimpey in the St. Dunstan’s Court development in London. How about turning the whole concept of rooflights on its head and installing garden rooflights? I beg your pardon?! Today, many home owners are considering extending their homes downwards as opposed to upwards especially in metropolitan areas. In inner city suburbs, getting planning permission to install a basement or sub-level in your home is often easier than applying to add another level – roof garden not withstanding! But the problem can be letting the natural light in so home owners are now opting for an under garden basement as opposed to an under house basement. 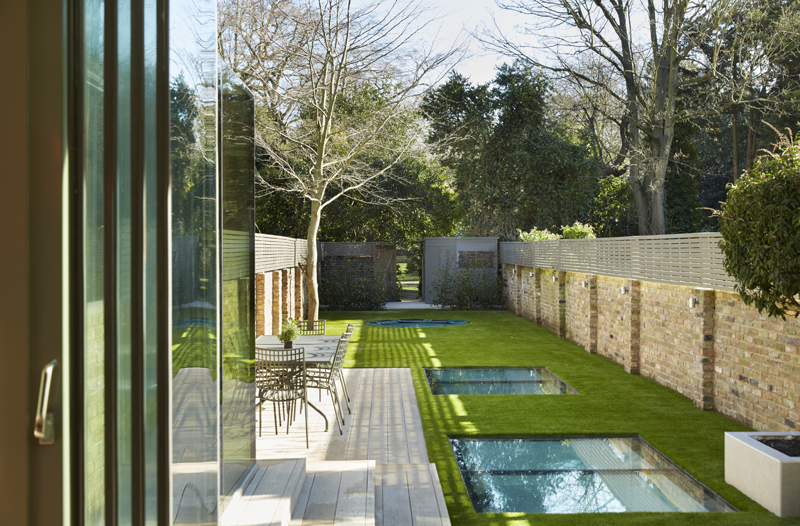 Many architects are now working with homeowners and architectural glazing specialists like Vision Agi to come up with the solution – walk on rooflights set into your actual garden above the new basement extension! How does your garden grow? Very well and around your walk-on rooflights as in this project undertaken by Ensoul Interior Architects to bring light into a new garden basement extension. It just has the wow factor while keeping the integrity of the existing garden and bringing light and air into the interior below. I beg your pardon, but at Vision AGI We may not have promised you a roof garden but what we can promise you is the right kind of access solution to it – whether you are growing roses on it or above it, or just sipping cocktails up there and enjoying the view!